There's no doubt that StarCraft II's release has been breathlessly awaited; twelve years have passed since the original was released to much acclaim and fanfare and a lot has happened in that time. That's why we thought it would be interesting to trace the history of the franchise to this point, in order to shed some light on how the franchise became such a phenomenon, and why the sequel is so highly anticipated. Like Wings of Liberty, the first StarCraft launched into an atmosphere drenched with hype, excitement, and fervor. Thanks to the success of Warcraft II, fans had sky-high expectations for the sci-fi RTS title, and those expectations were, for the most part, met, and in some cases exceeded. The game received high scores across the board and would go on to win several end-of-year awards from various publications like PC Gamer and Computer Gaming World. Another add-on, titled Retribution, was developed by WizardWorks Software and released later in 1998. Although it wasn't as critically panned as Insurrection, most regarded it to be an average addition. Blizzard swiftly silenced the naysayers by releasing their own add-on, Brood War, a few months later. The expansion debuted to similar critical acclaim and financial success thanks to its new campaigns, music, extra units for each race, map tilesets, and unit/building upgrades. With the brand back on track, Blizzard expanded their reach by tapping into the burgeoning console market with a port for the Nintendo 64. Many felt it was a worthwhile version, despite the N64's limited hardware; the console wasn't quite up to the task of running a real-time strategy game smoothly, and the overall presentation suffered as a result. The controller was also a poor substitute for the tried-and-true keyboard-mouse combo despite a specialized interface. Still, the game was fairly successful, garnering an aggregate Metacritic score of 80. Years later, Blizzard would push further into the console space with StarCraft: Ghost, a third-person action/stealth game made exclusively for consoles. But the title suffered many production delays before it was finally shuttered. Blizzard cited a lack of technological advancement for Ghost's “indefinite hold” status, and while we may never know the true reason for Ghost's cancellation, it was no doubt affected by the memory of those lackluster add-on packs released prior to Brood War. Thankfully, this allowed Blizzard to focus on the core StarCraft brand, and it's since been reported that development of StarCraft II began around the time of Ghost's cancellation. As the years passed, StarCraft continued to enjoy a consistent level of popularity; it became a staple of LAN parties across America, and the monolithic Battle.net service, which helped popularize concepts like tournament ladders and game-type filters, helped foster a booming online community. This was especially true in South Korea, where StarCraft blossomed into a national obsession; a thriving cottage industry that included snack products, a competitive gaming league, and its own television channel rose up around it. StarCraft's popularity would go relatively unchallenged until Blizzard's next RTS title, Warcraft III, was released in July of 2002. It would take close to five years for the franchise to blaze its way back to relevance: on May 19th of 2007, Blizzard officially announced the development of StarCraft II during the Blizzard Worldwide Invitational in Seoul, South Korea. While the announcement generated significant buzz, with the loudest, most earthshaking response predictably coming from South Korea, where the news drew chaotic cheering from fans who attended the unveiling. The fanbase's excitement would be dampened by a few surprise announcements, however. 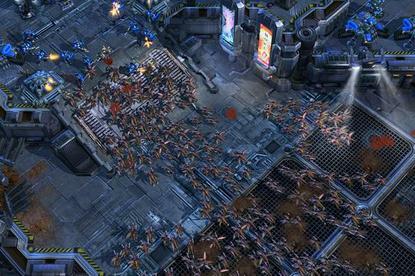 In 2008, Blizzard revealed that StarCraft II would be released in three installments, with the Terran-focused Wings of Liberty releasing first, followed by a Protoss campaign and a Zerg-centric third release. Then, in June of 2009 Blizzard's Rob Pardo announced that LAN (local area network) support would not be included; the news was upsetting for a significant portion of the community, and it became clear that Blizzard and Activision were counting on the newly revealed Battle.net 2.0 to act as a form of piracy protection. Of course, these issues were quickly forgotten when Blizzard released a multiplayer beta in early 2010. The beta proved massively popular, generating a ton of interest, and even though it was an early build meant to test server loads and unit balance, it gave everyone an invigorating taste of the forthcoming sequel.